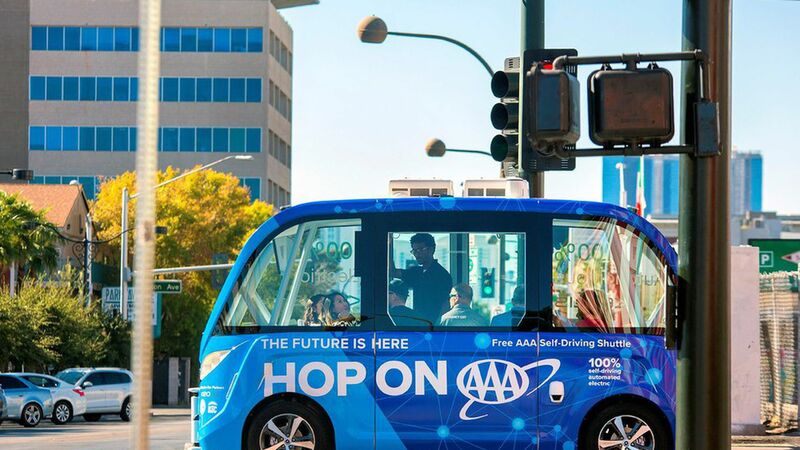 On Wednesday, AAA and transportation company Keolis debuted a 12-month test in Las Vegas for a self-driving shuttle designed by French startup Navya—but the vehicle's first day was cut short when it was hit by a semi-truck. The truck's driver was determined to be at fault, according to the city of Las Vegas, and was cited by local police. Common thread: This incident is the latest to show that humans tend to make more driving errors than self-driving software. In a recent review of accident data from the California DMV, Axios found a similar pattern. Police said the shuttle "did what it was supposed to do" to avoid a crash and "had the truck had the same sensing equipment... the accident would have been avoided."